This footnote caught my eye. Preliminaries are: Hobbits are men. Tolkien says as much in his letters, that Hobbits are part of the world of Men, not of Elves or of Dwarves. They a particular culture and breed of person who is, inwardly, human. This is important because the success of The Hobbit and The Lord of the Rings lies in their being told from a Hobbit’s-eye view. You start small, local, parochial, and expand into a much bigger, broader, badder world, hopefully changing for the better along the way. Preliminaries aside, as a reader of fantasy and science fiction and occasional dabbler into world building (or ‘sub-creation’ in Tolkien’s terms), this is an important point that could be forgotten. When you read Tolkien’s descriptions of who Elves are, what their function in the Creator’s world is, what their nature/substance is, what little is utterable about their culture and society, it is clear that they are not human beings. They are Elvish beings. This means that, besides immortality and a longing for a world where time stands still, alongside a capacity for sub-creative art and linguistic generation, Elves are psychologically distinct from humans. Their ways are not our ways. Their thoughts are not our thoughts. Their reasoning may be different from ours. Certainly their emotions are. Their longevity also means that they have an entirely different approach to memory, I have no doubt. Tolkien is aware of the world he has made, as well as the limitations of the authorial act. When I think on the Dragonlance novel Dragons of Autumn Twilight that I read aeons ago, it strikes me that the half-elven character was little more than a man with pointed ears and elf-skills. That is — his psychology was entirely human. This is no fault of the authors. I have a feeling it would take extraordinary dexterity that few, if any, authors have to be able to render an entirely alien psychology. And if one were to succeed, I think the story would become much less accessible to the reader. Here we see, yet again, the wisdom and care of Tolkien not just in creating his world but in writing his novels. This entry was posted in Books, Literature, Science Fiction and Fantasy, Writing and tagged elves, human psychology, j r r tolkien, letters of j r r tolkien, on fairy stories, writing on June 29, 2016 by MJH. … and sometimes their authors don’t necessarily ‘create’ them. I am reading two books from that delightful group of second-quarter Oxford literati known as The Inklings but Also Dorothy L. Sayers Who Wasn’t an Inkling (What with no Inklings Being Ladies). One is The Letters of J.R.R. Tolkien, carefully selected and edited by Humphrey Carpenter with some help from (the ever-present) Christopher Tolkien; a birthday gift from my delightful wife. The letters are fine specimens of epistolography (a genre whose ancient form I discussed once) and give us insight both into the development of The Lord of the Rings and the mind of Tolkien — father, philologist, Roman Catholic. I am at a stage of my life where it is his philology and Roman Catholicism that interest me most. The other book is The Mind of the Maker by Dorothy L. Sayers, which is an extended discussion of the analogical language we use about God. Her goal is to unpack the historic creeds through the analogy of a maker, since God is described as ‘creator’. The theory is that if humans are made in the image of God, then they, too, must analogically be ‘creators’ of a sort as well. The kind of maker Sayers has chosen is the author, since she is herself an authoress — but she believes her analogy would hold in other creative arts as well. Although I am a mere occasional dabbler in fiction, part of the creation of verisimilitude is the willingness to allow the worlds and characters to produce what they will, regardless of the will of the creator — so long as it is fitting. From what Sayers says, and from the letters of Tolkien, there is still much slog and careful work. But once you’ve established Wimsey, you cannot do things with him because you simply fancy doing them. And if the story produces a Faramir — well, that’s only fitting. As a Faramir fan, I’m quite glad he decided to turn up. 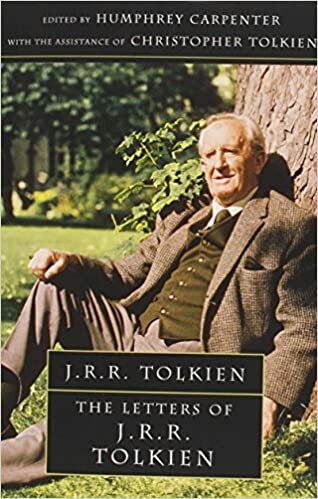 This entry was posted in Books, Literature, Writing and tagged christopher tolkien, creative writing, dorothy l sayers, faramir, j r r tolkien, letters of j r r tolkien, peter wimsey, the mind of the maker on May 3, 2016 by MJH. The second piece of High Adventure my wife gave me for Christmas 2014 is J R R Tolkien’s The Fall of Arthur. I recommend it — here’s my Goodreads review. Someone mentioned to me that Christopher Tolkien must be scraping the bottom of the barrel by now — if The Fall of Arthur were any good, surely it would have been published 20 years ago! My cynicism runs slightly differently — if The Fall of Arthur were destined to make a lot of cash, it would certainly have been published 20 years ago. It isn’t, so it wasn’t. But it is still worth reading. So why only three stars, if I recommend it? If I were judging merely J R R Tolkien’s poem, I would give it four, maybe even five, stars. However, the poem is only 40 pages of this book. The rest is Christopher’s explanatory notes and appendices. Most of these I am glad for, but some I am not, as you shall see. My second ‘warning’, if you will, is that this poem is not for the faint of heart. It’s probably not for anyone who doesn’t like Old and Middle English literature or who is unacquainted with Arthurian legend. The explanatory notes do help clear up some of the oblique references in the poem, so if you’d like to try your hand at reading mediaevalesque narrative poetry, this is as good a place as any to begin — with the benefit that this poem is shorter than the contents of The Legend of Sigurd & Gudrún (I think). But I do, I really do want to recommend this book. Because I really like it. When I read the aforelinked Legend of Sigurd and Gudrun, I learned that modern English has so similar a natural cadence to Old English that one can write poetry in modern English using Old English meters and alliteration. This is what Tolkien did in Sigurd, and that’s what he does here. And it works. This is not the time to discuss the niceties of versification, but I find this Old English meter works for narrative poetry. I like it. Combined with Tolkien’s word choice and imagery, it is here moody and evocative, full of depth and power. Tolkien here tells the tale of Arthur from his departure to engage in war on the Continent up to the battle at the beach upon his return to wrest his kingdom back from Mordred’s hands. The poem stops abruptly, unfinished. But here is the melancholy tale of the sundered Round Table, of chivalry lost, of doom, death, and deceit. Such gloom, such moodiness, does not, from what I’ve read, tend to weight heavily upon the Arthur story as told. It does, however, weigh upon Old English literature — a literature that never knew Arthur, yet whose moods lend themselves to this fatal clash of uncle and nephew, father and son, king and regent, right and might. One of the themes of much Anglo-Saxon poetry is exile — whether from the perspective of the exile, or of the wanderer, or (as in ‘Wulf and Eadwacer’) the wife left behind. Canto III of The Fall of Arthur gives us this with great pathos, bringing the narrative to Benwick and Lancelot, where the tale of Lancelot’s exile from Camelot is told allusively. And Lancelot wishes to be reconciled with his liege, awaiting Arthur’s summons at any moment. It is a summons that never comes. Lancelot is not at Camelon fighting Mordred. The main knight in this tale is Gawain, likened by Tolkien time and again to light and brilliance. He leads the knights in Europe and the ships back to Britain. He is all glory and power. Tolkien has found a way to reconcile two Arthurian traditions, one which favours Lancelot, the other which favours Gawain, without compromising the characters of the two knights. As you can see, I really do like this poem. Following the poem, Christopher provides some very helpful notes on it, which I recommend you keep your finger amongst, or at least a second bookmark. After the notes on the text are three appendices (these Tolkiens like their appendices): The Poem in the Arthurian Tradition, The Unwritten Poem and its Relation to The Silmarillion, and The Evolution of the Poem. The first of these appendices will be especially helpful to those unacquainted with the wider tradition of Arthurian literature. I was glad to read it, although I skimmed some of the long extracts from Mallory and completely skipped some of the Middle English verse Christopher quotes. The second is also very interesting. Here selections of continuations of the poem drawn from Tolkien’s notes are presented with some commentary and questions of where the poem may go from there. Then a long and involved discussion of the relationship of the unwritten poem’s Avalon to Númenor and The Silmarillion ensues. I’ve not read The Silmarillion, and am far more interested in Avalon than in Númenor, but I’m certain other fans will relish every word. The third appendix I didn’t read, frankly. I skimmed over it and set it aside. I’m sure other people will find the textual criticism of Professor Tolkien’s notes of interest — I do not. Finally, there is an appendix on Old English Verse that repeats material from The Legend of Sigurd and Gudrun. All in all, I really like this book, even if not all of Christopher’s material is to my taste. It’s a shame J R R Tolkien never finished the poem. This entry was posted in Books, Literature, Mediaeval and tagged arthurian literature, christopher tolkien, j r r tolkien, king arthur, old english poetry, the fall of arthur, the legend of sigurd and gudrun, the silmarillion on January 9, 2015 by MJH. 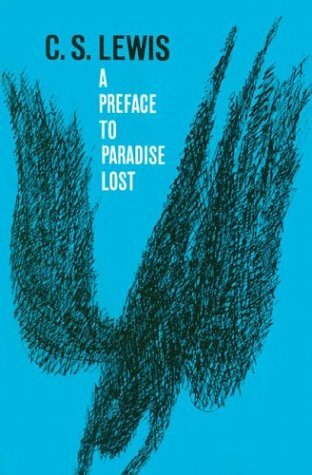 I’ve been reading C. S. Lewis’ A Preface to Paradise Lost in preparation for reading the poem itself, and one of the things that has struck me — and I’ve noted to myself in the past — is the sheer breadth of Lewis’ reading. He makes allusions to and citations of Cicero, Lucretius, St Athanasius, St Ambrose, Charles Dickens, Jane Austen, Keats, Plato, G K Chesterton, Shakespeare, John Donne, Layamon, Beatrix Potter, Renaissance guys I don’t know, Jules Verne, H G Wells, and more. He brings into his discussion literary criticism of Milton from Alexander Pope to T. S. Eliot. A Preface to Paradise Lost is not an isolated work in this regard. In his Introduction to St Athanasius’ On the Incarnation, Lewis makes mention of reading Athanasius in Greek and finding him as easy as Xenophon. 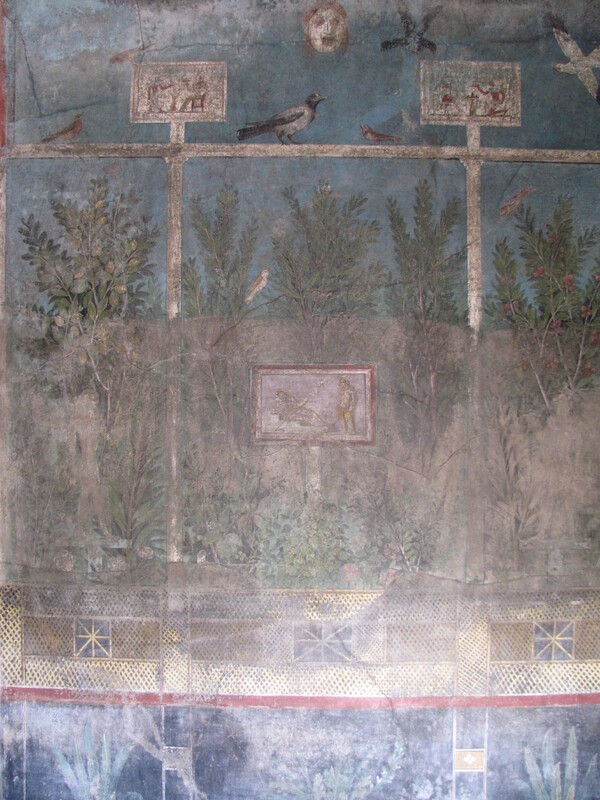 In The Discarded Image, Lewis draws the reader’s attention to a host of mediaeval works and demonstrates an intimate knowledge of the Platonic system as laid out in the Timaeus. A glance at Selected Literary Essays shows us literary criticism on Chaucer, Shakespeare, Donne, Jane Austen, Shelley & Dryden (with reference to Eliot), Walter Scott, William Morris, and Rudyard Kipling. The introduction to The Great Divorce betrays the fact that Lewis was a reader of science fiction (or scientifiction as he called it); his letters include one to Mervyn Peake praising Gormenghast to the skies. He also, of course, read the fictional and critical works of his friends, such as J. R. R. Tolkien, Charles Williams, Dorothy Sayers, Hugo Dyson. Nonetheless, Lewis had broad interests. These make him stand out from Tolkien for whom English literature after Chaucer was of no interest, and Romance languages a bore. Tolkien was a very good — nay, a great, philologist; he produced a critical edition and translation of Sir Gawain and the Green Knight. His work on Beowulf is still worth reading. His contributions to The Oxford English Dictionary are not to be forgotten. Yet whereas Tolkien could get his friends interested in Germanic philology enough that Lewis and co. were learning Old Norse for fun so they could read sagas themselves, when Lewis made a reference to Ariosto in a review of Tolkien’s fantasy work, Tolkien expressed disgust at the Italian poet of the Renaissance. I do not diminish Tolkien, but his achievements are of a different nature from Lewis’. This entry was posted in Books, Classics, Literature, Mediaeval and tagged a preface to paradise lost, breadth of reading, c s lewis, j r r tolkien, john milton on March 27, 2014 by MJH.